RUSH: Laura in Louisville. Great to have you on the EIB Network. Hi. CALLER: Oh, my goodness, Rush, I've been waiting since 1996 to talk to you. CALLER: As a matter of fact, I have two phone numbers memorized and one is my husband and the other is 1-800-282-2882. So I'm gonna get to what my point is. What I don't understand is why so many people do not see what hypocrites the Democrats are, and AOC is at the top of that list. She tells kids to shop at thrift stores while wearing $3,000 suits. When are people gonna realize that being a socialist means do as I say and not as I do? I'm trying to start my own business. This has nothing to do with AOC and hypocrisy, but one day you said that you were trying to give away your new iPhone, so if you have a spare iPad Pro or iPhone I would love it to help with my business. Anyway, but back to the hypocrisy of the Democrats. I don't get it. I don't understand why people don't see it. RUSH: Well, you know, there's an interesting thing. I was just talking about this the other day. In the history of the world, there is not a single success story associated with socialism. Socialism has never worked. It has never gotten close to working. It's just the exact opposite. Socialism is an unmitigated disaster. It is the gateway to full-fledged communism, which also doesn't work. And by "doesn't work," I mean it utterly fails in the promises it makes to people. Socialism promises utopia, and all it delivers is misery. The thing is, it's not theoretical. It's not as though we have to grab hold of people and persuade them with our words. We just have to point them to places. Point them to Venezuela, point them to Cuba, point them to any number of places in world history where socialism has been tried and where it has never succeeded. It's never even gotten close! And yet there remains a romantic attachment to it when people who believe in it think it's just not been tried by the right people or we just haven't really had enough money. It's one of the most amazing psychological phenomena to me, that something that is so provably dangerous and bad and threatening can remain so romantically reachable and hopeful. 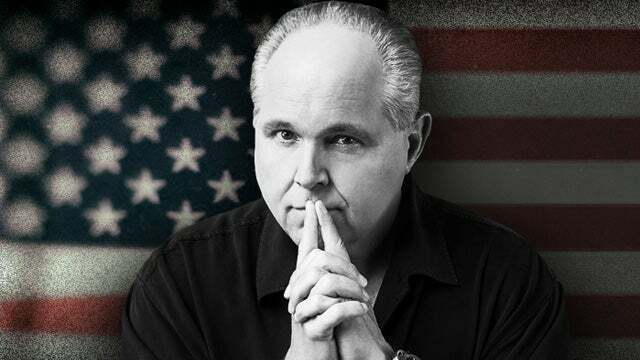 RUSH: Try this story here, folks. This is from the Eater.com. It's a trade website about restaurants. “ Panera’s Utopic Pay-What-You-Want Restaurant Dream Is Dead. ” You remember this experiment? Panera Bread decided nine years ago to introduce pay-what-you-can restaurants in several U.S. cities. And they're closing the last one down on February 15th in Boston. 'Cause it just didn't work. What is food insecurity? In the old days we would call it hunger. Food insecurity is fear of not having enough food when you want some. So the whole experiment was a test of humanity, said the founder. Would people pay for it? Would people come in and pay a fair price for what we were providing? And the answer was no. You don't even need to do the test to know the answer. The test was a resounding no. If you are a gonna give me food, I'm gonna take it. Screw you getting paid for it! RUSH: John in central New Jersey. Great to have you, sir. You're next on the EIB Network. Hello. CALLER: Yes. Hi, Rush. My question is, the United States during World War II funded -- well, funded all World War II by selling war bonds. Now, couldn't Trump, President Trump sell wall bonds to fund the wall? RUSH: Well, yeah, but, see, you're talking again about what was a unified effort. I'm gonna use your call as a transition back to socialism to try to make a point. Yeah. If we were unified behind the wall and if we didn't have the money or if we wanted to raise an independent supply of money, then we would sell wall bonds. And if we're gonna treat this as a similar kind of national security effort that World War II was, then, yeah. But we're not unified behind this. And you might say, "Well, then, people don't have to buy them." Yeah, but you'd have to get a lot of cooperation in creating the bonds and so forth. And, believe me, if that's an option, it has been looked at. And I'm telling you if Trump really wants to get this done by virtue of a negotiated deal, he wants there to be a sense of unified purpose about this. He really doesn't want to have to do this national emergency business. But I think he's prepared to. I know that he doesn't want to do that. I know it's a last option. But just 'cause he doesn't want to doesn't mean he won't. But let's take the example, I want to go back to socialism and why it is so difficult to prove to people that it is a mistake. Not only is it a mistake, it doesn't even come close to meeting its promises. And the evidence is all around us. The evidence has been around us since the beginning of humanity. You can go to any society that has attempted to create a utopia, and they've called it socialism or fascism or communism or whatever it is, and not a one of them have worked. Now, today's young Millennials will say, "Well, wait a minute. California works! California, here you people are all saying California's socialist, and it works." Okay. Let me concede the point for a second. California is socialist, and it works. However, there is a big difference between California and Venezuela. California is not a nation. California is a state. California benefits from the resources and the bounty and the work and the effort of the entire country. It's not isolated. And even at that, California is becoming one of the biggest have and have-not states in our country. California has a homeless problem. San Francisco has a feces-in-the-street problem. The problems in California... You're not supposed to acknowledge them, you're not supposed to talk about them, but they are legion. They are growing. You have in California... In most places in the cosmopolitan areas where people want to live, you can't afford to live where you work, so you have a commute that is (minimum) hours. And it's getting worse, and it's been trending that way. California also is a microcosm. California's a one-party state because of illegal immigration. The Republican Party doesn't even exist for all practical purposes. But if California were not attached to the United States and did not benefit from the resources of the rest of the country, if California had to provide all its own oil... They don't. They don't allow drilling. Just like Venezuela decided to get rid of it. California doesn't allow a whole lot of farming, not as much as they used to. California's environmentalist wackos have shut down so much, the price of gasoline and fuel is out the rocket. And they're trying to do everything it can to limit fossil fuels. But they benefit from the fact... They can go ahead and do these nutcase policy institutions and still be able to access wealth. Where do you think California gets its water, Southern California? Where do you think California gets its electricity? If California ceased to be a state -- and if it were a standalone, floating nation -- I guarantee you nobody'd want to move there. It would become Venezuela as fast as Venezuela became Venezuela. But you have to convince young little Millennials of that truth. They look at California and they say, "Wow. It's all liberals. It's all Democrats. Hollywood is there and Silicon Valley. Man, oh, man! It's utopia!" Yeah, well, take California out of the United States like Venezuela is and it would soon become Venezuela. But that'd be a difficult thing to persuade them.